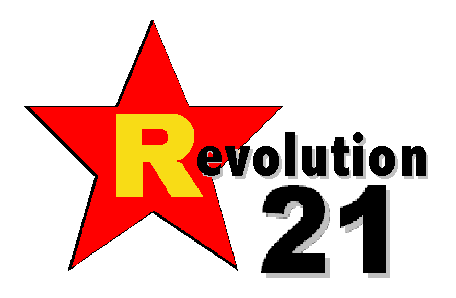 Revolution 21's Blog for the People: Help! Help! The mobs are being repressed! Whatever the Trayvon Martin shooting was in February, chances are it wasn't a hate crime. Whatever the Trayvon Martin killing was that cold and rainy night, it wasn't premeditated. Prosecutors admitted that much by not filing first-degree murder charges against George Zimmerman. But a lot of things being done in the young "martyr's" name absolutely have been premeditated. And they absolutely were hate crimes. 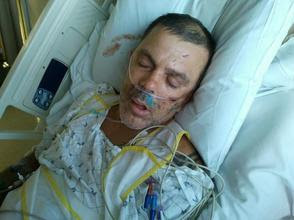 What Parker says happened next could make the fallout from the brutal beating even worse. As the attackers walked away, leaving Owen bleeding on the ground, Parker says one of them said "Now that's justice for Trayvon." Trayvon Martin is the unarmed teenager police say was shot and killed February 26 by neighborhood watch captain George Zimmerman in Sanford, Florida. BACK IN FLORIDA this past winter, it's probably true that Zimmerman profiled Martin because of his age, gender . . . and race. Given what's happened since that day in February -- not to mention the daily diet of violent-crime reports on TV and in the newspaper -- why do you think that might have been? It doesn't make profiling any less sad. Nor does it make profiling any less regrettable. But it sure as hell makes it quite understandable. In the real world, thugs don't get to complain about brutality. And unjust, violent mobs don't get to whine about injustice. That dog won't hunt.